All the above tariffs are for consecutive days only. This free pass only will be issued if one adult, youth or senior purchases a consecutive day pass equal. If there is no purchase by an adult, the fare will be the one for <8 CHILD WITHOUT ADULT. 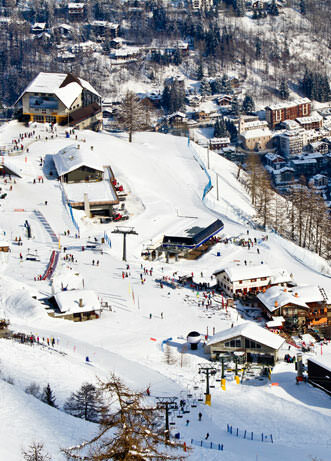 From six days you are entitled to the dayly 50% discount in Verbier 4 Vallées. All Aosta Valley ski resorts access + SkyWay Mont Blanc + La Rosière + Alagna. * Child < 8 years: free pass if one adult purchases a skipass equal or superior. Skipass valid on Aosta Valley and two day in Zermatt. Skipass valid on Aosta Valley and three day in Zermatt. the games room of the Casino de la Vallée di Saint-Vincent in Saint Vincent + voucher 10€. Skipass valid on Aosta Valley and two days in Zermatt. Skipass valid on Aosta Valley and three days in Zermatt. After 5 PM Fixed price cp_cs €, Children 0-3 years old free. Ski + boots hire at the price of 16€ for all adults holding a pass to Plan Checrouit 16€.